Before Bitcoin became a household name, very few people knew anything about blockchain technology, what a cryptocurrency wallet is, how a cryptocurrency exchange works, or even what the word decentralized means. But now – well, let’s just say it’s a brave new world out there. Everybody knows about the booming cryptocurrency market – or about Bitcoin, at the very least. And everybody’s got an opinion. On the one hand, you have billionaire financiers like Tyler and Cameron Winklevoss, Blythe Masters, Michael Novogratz and even celebrities like Floyd Mayweather, Paris Hilton and Jamie Foxx investing heavily and making a fortune. On the other hand, skeptics like Warren Buffet and Mark Cuban warn about the potential dangers, calling not only Bitcoin, but the entire cryptocurrency exchange a bubble that is just waiting to burst, potentially becoming the biggest letdown in decades. However, in spite of his warnings, it has recently come to light that Cuban’s Dallas Mavericks will accept not only Bitcoin, but also Ether next season. It’s almost a generational divide – and it’s time to decide which side you’re on. Everything is becoming decentralized. With the advent of Bitcoin and other cryptocurrencies, traditional financing and traditional markets no longer work the same, so why listen to the prophets of the old world? To catch up with the massive changes, huge banking conglomerates like Santander, UniCredit and UBS, as well as credit card companies like American Express are introducing revolutionary cryptocurrency and blockchain-based systems to speed up and modernize transactions and payments. With Ethereum (which skeptic Mark Cuban will be glad to accept) in particular, a new revolution is on the horizon: focused not only on the way we handle finances, but now seeping into other areas as well. Dapps are the single best example of this new revolution, changing the way we get information and services, as well as the way end users can interact with developers and service providers. Dapps (in some cases spelled DApps) are special, new types of applications based on blockchain technology. And if you know anything about blockchain technology, you know it is decentralized, public and that it cannot be changed in any way. Once a block is added to the Dapps blockchain, it stays there forever. 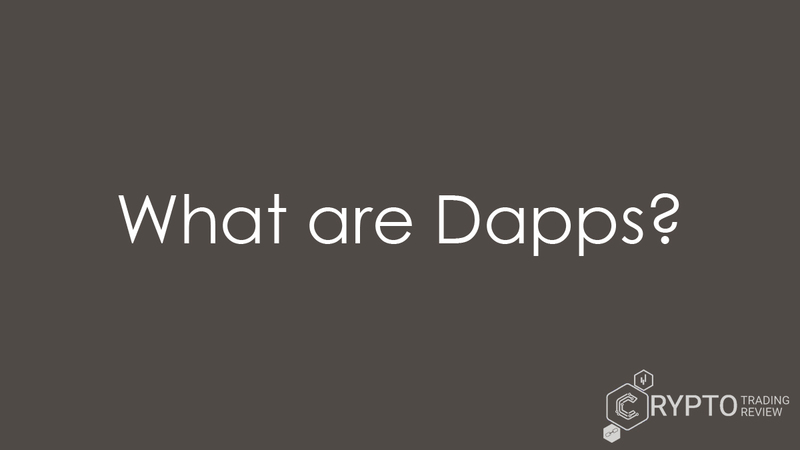 So, Dapps is short for decentralized applications that have no owners or anyone who could have an interest in manipulating them, they cannot be removed or shut down and, best of all, there is no downtime. Why is that a good thing, you might ask? Well, think about the apps that are the most popular today. For example, any app made by Google (Gmail, Chrome) or social networks like Twitter. With billions of users every day, the companies and individuals that own these apps wield an insane amount of power, not to mention the responsibility on their shoulders. Search engines have an interest in presenting you with web sites and results that they want to show you – most commonly, the results higher up on the page have paid for tools and services that push them ahead of the competition. All apps collect your personal data and sell it to advertisers for profit. Most sinister of all, however, is the potential for social engineering, targeted ads and subtle psychological manipulation of the masses into supporting a certain cause, believing in a certain ideology or voting for a certain candidate. As tin foil hat as it may sound, none of these dark potential abuses of power are without their precedents. Just read up on Facebook’s attempt to establish a monopoly in India or the recent Russian election interference. With these new decentralized applications, however, there are no intermediaries, nobody managing or manipulating a user’s information and no hidden, potentially unethical motives. Instead, Dapps directly connect end users and developers or service providers. You could even create a Dapp similar to Twitter, where tweets can never be erased, edited or replaced. Once a post, a message or any other type of content is published to the Dapps blockchain, it stays there indefinitely. A future with decentralized applications is a future without censorship – and this vision is no longer in the realm of utopia. It is slowly becoming reality. As the very name “decentralized applications” suggests, it needs to be decentralized. In other words, it needs to be based on blockchain technology or similar cryptographic technology, like a distributed ledger. It needs to be open source, meaning that the underlying software and its source code have to be made available to everyone. With Dapps, anyone can study, modify and redistribute the underlying software with no restrictions and no copyright to worry about. This ensures that a good app can be improved upon by others, as well as adapted for certain special purposes and the specific needs of some users. There has to be an inbuilt protocol – an algorithm which serves as a mechanism to achieve consensus and show proof of value. Currently, there are two such algorithms: Proof of Work (PoW) and Proof of Stake (PoS). Dapps have to be incentivized, meaning that validators of the Dapps blockchain and all who contribute their computing power are awarded with cryptocurrency tokens. This encourages users to participate and ‘fuels’ Dapps, encouraging development, stability and security. It has been long since established that money is the universal motivator. Even though that may be true, that money doesn’t have to go to big corporations. Instead, it can be distributed among a large number of contributors, where every user has a chance to participate. In a world in love with crowdfunding, Dapps offer us a chance to crowdfund literally anything we wish to use – and create distributed and transparent decentralized applications which may change the face of technology. Even you could download and use amazing innovative apps you like, and then use your computer’s spare capacity to contribute and earn a few coins along the way. Where Bitcoin led the way with blockchain technology, and basically created the cryptocurrency market with its decentralized, peer-to-peer approach, the equally innovative concept of Dapps was first introduced by Ethereum. By taking a completely new turn and seeking to change how we connect and interact, instead of just focusing on money, transactions and payments, Ethereum became insanely popular and increased its value by 13,000% throughout 2017. It is currently the second biggest cryptocurrency by market capitalization on the cryptocurrency exchange, behind only Bitcoin. Ethereum’s success has led to the development of a whole wave of new, specific and very diversified cryptocurrencies with a purpose. This happened for a reason: while speculating on cryptocurrency prices can be enticing, investors feel more secure when they are putting their money into something with a real world application or when, by choosing a specific cryptocurrency wallet, they are simultaneously supporting a cause they feel passionate about, like bringing financial services and opportunities to underserved areas or increasing transparency and financial privacy. That way it is not only about which cryptocurrency will survive the battle royale on the cryptocurrency market, but which one will be able to stand the test of time and attract the most users with its vision and its ability to do things in a completely new way, making itself indispensible. For now, Ethereum appears to be one such cryptocurrency, and it’s all thanks to Dapps. Ethereum is equipped with the Ethereum Virtual Machine (EVM), a decentralized computationally universal virtual machine, capable of manipulating data and executing scripts by using a global network of interconnected public nodes. This network makes Ethereum decentralized, since it is not dependent upon just one server, just one machine or just one entity (person or company). Even if a part of the network fails, the other parts are fully equipped to take over, leaving the network itself intact. 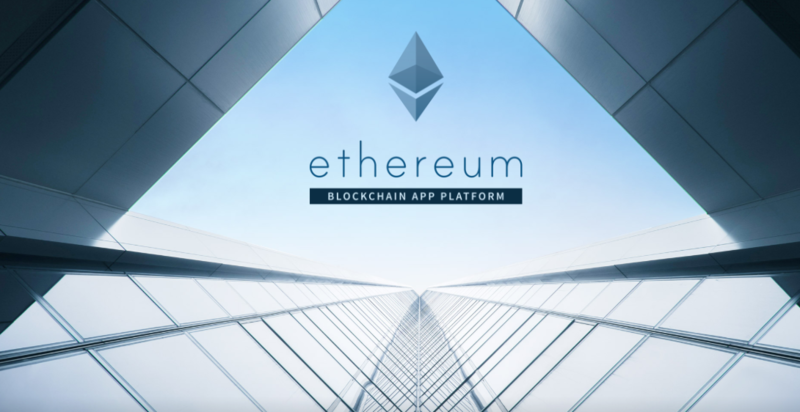 Ethereum’s blockchain-based computing platform is open-source and publicly available on GitHub, currently with 144 repositories, including the Ethereum C++ client, the Official Go implementation of the Ethereum protocol, the Ethereum Improvement Proposal, a Python implementation of the Ethereum Virtual Machine, the “Yellow Paper”, which is Ethereum’s formal specification, and a Java implementation of said Ethereum Yellow Paper. Ethereum uses a Proof of Work algorithm, which means that mining plays a vital role in confirming transactions and changes on the network, which adds new blocks to the Dapps blockchain. Miners are randomly awarded a small amount of Ether for contributing their computing power. Unlike with Bitcoin, however, the rewards for mining do not decrease over time. Ethereum employs an internal mechanism to determine the price of each action on the network. This mechanism is called “gas”. Ethereum users will say that an action requires a certain amount of gas. Ether is used as compensation to cover for the gas price. In a way, Ether is seen as the fuel of the Dapps Ethereum network – an incentive for contributors. Things like cryptocurrency trading and blockchain technology predate Ethereum. In fact, all of the ingredients for decentralized applications were already there, which is why, broadly speaking, many use the term Dapps not only when referring to small-scale apps, but also entire networks and cryptocurrencies like Bitcoin. Nevertheless, when trying to distinguish between different types of decentralized applications, the source that provides the most practical classification is precisely the Ethereum white paper. The authors of the white paper distinguish between three types of Dapps: apps for managing coins and other assets (similar to money), apps that require another piece in addition to the money, and all other apps in the final category, primarily systems for voting and governance. Type I Dapps: Includes decentralized applications which have dapps blockchain technology, for example Bitcoin and other altcoins and digital assets. These types of Dapps facilitate the exchange of coins (Ether when we’re dealing with Ethereum) between two users in order to settle a contract. The distributed computer nodes on the Dapps blockchain are used to distribute and confirm the exchange. Type II Dapps: These decentralized applications are of a higher order in a way, in the sense that they build upon the foundations of another cryptocurrency or blockchain-based virtual currency. So, type I Dapps have their own blockchain, while type II Dapps use another coin’s blockchain. In order to function, they also need coins, so they use the coins of the blockchain they use as tokens to cover for the costs. These Dapps are not there only for money transfer. An additional factor or extra information from outside the blockchain is added to the equation. This allows users and companies to utilize cryptocurrencies for complex financial functions like insurance, a decentralized cryptocurrency exchange or a smart savings cryptocurrency wallet. These Dapps rely on so-called ‘oracles’, third party systems which provide smart contracts with the information needed about the outside world. When the information is made available, the smart contracts are ready to execute. A type II insurance decentralized application would be a good example. A farmer pays for an insurance premium which guarantees to cover for all costs in case there is a natural disaster of some kind. After a hurricane and a flood ruin his crop, an advanced weather app relays the information to the smart contract, which uses the information to pay the farmer for the damages incurred. Another example: an investor uses a type II Dapp to manage his assets on the cryptocurrency market. When cryptocurrency prices surge, a bot monitoring the cryptocurrency exchange informs the decentralized application, which can then sell the investor’s digital assets. Later, when cryptocurrency prices drop, the same Dapp can then reinvest in a different virtual currency, thus maximizing his gains. Type 3 Dapps: These decentralized applications should be the most complex. Using the protocol of type II decentralized applications, they aim to build complex systems which can replace and get rid of financial authorities. Ideally, the goal is to create leaderless companies and autonomous, decentralized organizations. After setting up a series of rules, smart contracts and predetermined ways in which all users can vote and contribute to the decision making, these types of decentralized applications are let go, setting the machine in motion, which means that no entity or conglomerate can alter the initial set of rules or influence the organization in their favor. The DAO, a venture capital fund directed by investors was an early example. It was built on the Ethereum platform. 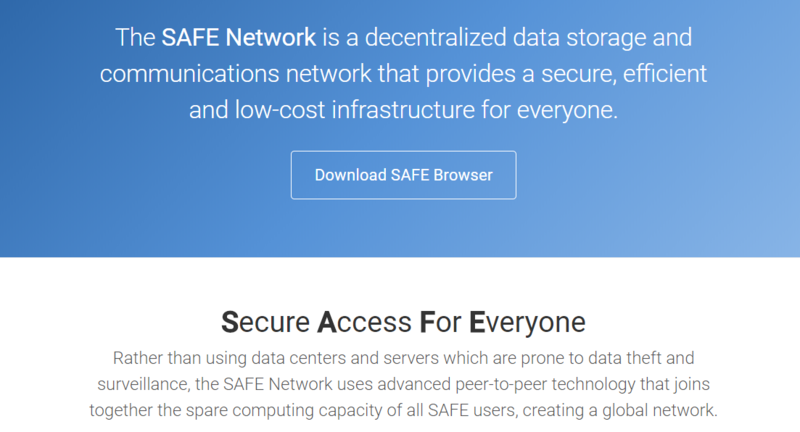 Another example is the SAFE network, which, “rather than using data centers and servers which are prone to data theft and surveillance”, relies on “advanced peer-to-peer technology that joins together the spare computing capacity of all SAFE users, creating a global network.” The network’s tokens are called safecoins, which are issued to ‘farmers’, users who contribute computing resources and help build the distributed file storage. To make the concept of decentralized applications a bit more relatable, we have decided to compile a list of several successful Dapps. Most of these Dapps are relatively well-known, and if you’re familiar with any of them, that knowledge should help you better understand the concepts we have previously explained in theory. Siacoin is an open-source, completely decentralized private cloud, based on private blockchain technology. The Dapp uses its own tokens called Siacoin (SC). As a private cloud, it allows its users to have greater control and privacy. Files stored on the clod are split apart, encrypted and distributed all over Siacoin’s decentralized network. The end user holds the keys and owns their data, which cannot be accessed by outside companies. Siacoin storage is also approximately 10 times less expensive than competing storage providers. This is possible because Sia’s blockchain works as a decentralized storage marketplace, where host compete to win over users and store their data – driving the prices down. The costs are paid in Siacoin. Factom is a type I Dapp which works as a decentralized and unalterable record-keeping system. Factom uses its own private blockchain primarily for security and data management. It was utilized by project Gutenberg in the past, while the United States Department of Homeland Security is one of its most prominent current users. This Dapp has its own coin, called Factom (FTC). This Dapp uses Bitcoin’s blockchain to create peer-to-peer financial applications. In that way, it works as a financial platform. It is completely open-source and provides its users with the first decentralized cryptocurrency exchange in the world. Additionally, its users can create their own digital assets, monitor cryptocurrency prices, bet on cryptocurrency trading, and create contracts for difference (a type of financial derivatives). This is a Dapp with its own native cryptocurrency, also called Counterparty or XCP, which fuels advanced features and represents users’ stake in the protocol. Another cloud storage system, Storj uses its decentralized peer-to-peer protocol to provide its users with sustainable, distributed, encrypted, fully open-source cloud storage. It is equipped to handle microtransactions, so there are no minimum usage requirements. The users pay precisely what they use, with no setup fees. Storj is based on Ethereum’s blockchain, but it uses its own tokens, called Storjcoin X (SJCX). On its official website, this Dapp is referred to as a “global, open source, decentralized supercomputer that anyone can access”. The network makes idle computer power available to users all over the world. The concentrated computer power can be used for any task, including scientific computing, machine learning and CGI rendering. It connects users who wish to run applications and rent out computing cycles (requestors) and providers, users who make their machines available to the network. Whether you own just a personal computer or a powerful data center, you can share your resources and receive payment in the network’s cryptocurrency, GNT (Golem Network Tokens). Golem is based on Ethereum’s blockchain. Its market capitalization is quickly approaching $500 million, as its first release is scheduled to hit the open cryptocurrency market early this year. The first version of the Dapp is known under the name Brass Golem. It is currently in alpha testing phase. Anyone can try to test it before it is released. Its first version will focus on CGI rendering and, according to its performance during test runs, it should be capable of rendering even the most demanding scenes “orders of magnitude faster than their local machines and much cheaper than commercial render farms”. Another decentralized application built on the Dapps Ethereum blockchain, Augur is a decentralized, open source oracle and prediction market platform, currently in beta. As a forecasting tool, Augur boasts amazing accuracy and promises to deliver real trading profits. Augur rewards users who correctly predict events in the real world, so it is always on the lookout for contributors with valuable knowledge and insight. The contributors buy shares in potential real-world outcomes before they happen (examples include elections, sporting events, awards, etc.). If the events come true, the users with shares in those events profit from their prediction. The network’s accuracy when making predictions rests on the collective “wisdom of the crowd”; i.e. a man and a donkey are smarter than just a man. At the moment, during the testing phase, everyone is encouraged to try out Augur for free, using play money with no value. Otherwise, the network relies on the Augur coin (REP). Open Garden. The aim of this Dapp is to create a decentralized, freely available Internet powered by individual users who can all join the network and either share their Internet with nearby users by creating a hotspot or access the Internet via available hotspots. With interconnected Wi-Fi networks, devices could automatically select the best network. There would be no need to gate and restrict access to Wi-Fi, since those who make use of other people’s Wi-Fi would spend OG, Open Garden’s coin to pay for the service, while the providers would be automatically paid for the resources they contribute. Everybody could alternate between being a user and a provider, making Internet more accessible and more affordable. Those who earn the Open Garden cryptocurrency can either save it and use it to pay for Internet access later, or they can convert it to their currency of choice, if they are happy with the current cryptocurrency prices. When we take these successful decentralized applications into consideration, it is pretty clear that they offer unlimited possibilities. Most importantly, all of them are focused on empowering the end-user and the average person and on taking the power away from corporations and governments. Dapps are all about sharing: they are inclusive, they do not discriminate and they rely on people’s innate tendency to cooperate. The potential of Dapps – their promise to do things more efficiently, whether it means more accurate predictions or faster, better rendering, as well as the fact that they are built to be cheaper than any alternatives – is destined to make them very popular. It is no wonder, then, that people with original ideas, as well as new ways for making things differently, will look at Dapps as one way to make their dreams a reality. And why not? We can freely say that Dapps are the startups of the post-Bitcoin world. But what steps can you take to create a Dapp of your own? In essence, creating a Dapp means creating a cryptocurrency. Sure, anyone with a bit of knowledge and skill can do it, but it doesn’t mean it will be successful. Even decentralized applications that use another Dapps blockchain often have their own tokens, since their use is very specific. The whitepaper is necessary to gauge how the community feels about your project. It will allow you to gain valuable feedback and make any last minute changes before kicking off the Dapp. The community. After publishing the whitepaper, you should look to attract like-minded individuals and experts to join your cause. Also, you should market your Dapp to gain a following. All of these steps are necessary to build a strong, cohesive and passionate community. You should value everyone’s feedback – don’t be afraid to reconsider some of your key points and rewrite some parts of your initial plan. By doing so, your Dapp will become more attractive to several interest groups. The ICO. The ICO, or the Initial Coin Offering is how you get funding for your Dapp. If you have gained a significant enough following, many people will feel good about your project and they will want to get ahold of your Dapp’s tokens early on, because they will have faith that their value will increase further down the road. First you need to announce your ICO and explain how it’s going to work. Transparency is essential if you want things to go well. So, make sure everyone knows how many tokens you intend to allocate to the development team, whether the number of tokens is finite, how mining will work, whether there will be a chance to pre-mine the tokens, etc. The initial price is arbitrary, so go for a price that you estimate will cover for your costs. As the tokens hit the cryptocurrency market, their price will be dictated by their popularity. The development. After the initial sale, you should have enough funds to get your Dapp off to a good start. Set realistic goals and deadlines and share regular updates with your community to keep them invested. You don’t want your users to feel like the Dapp is dying or that its development is stalled. If there are challenges, share them with the community and let them know what is happening. The launch. After the development phase, most decentralized applications go through several rounds of test runs. If your alpha and beta versions turn out well, and if you succeed if ironing out the remaining imperfections, your Dapp might even attract the interest of major financial institutions, tech firms or angel investors who share your vision, depending on what your Dapp is trying to accomplish. At that point, launch you Dapp and see how it fares on the cryptocurrency market. You will want to partner with a well-known cryptocurrency wallet so users can store your tokens. Alternatively, develop a cryptocurrency wallet of your own if your Dapp has very specific features and requirements. There is no doubt that Dapps are here to stay. They are inextricably linked with blockchain technology and represent a huge leap in the way we use internet. Because of them, things become much safer and the room for censorship becomes greatly diminished. Naturally, cryptocurrencies are heavily involved in this, especially if you take a look at how Ethereum Dapps. That will show you perfectly what you can expect in the future. The biggest companies in the world are already switching to this technology, so prepare yourself – in the following years, a lot of things will change. If you want to remain on top of it all, however, you are at the right place. Our team of experts will guide you every step of the way. With our help, you can learn absolutely everything not just about Dapps, but about the world of cryptocurrencies, as well. Our website is the best place for you to start researching all of this, so take a look at our other articles and see what else we have to teach you. We promise you won’t be disappointed.